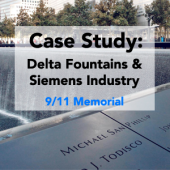 Delta Fountains’ largest and most complex water feature undertaking was at the National September 11 Memorial and Museum. Part of our contractual obligation with this project was to provide consultation and engineering. Many items had been designed, but not engineered and fully tested, for all aspects of operation. 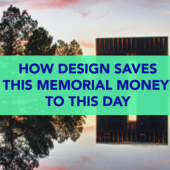 The weirs, which are critical to the entire expression of the 9/11 Memorial features, were the most difficult engineering obstacles we experienced on this project. Water effects, the ability to install and safely adjust their levels, lateral movement and more, were all a part of our scope. 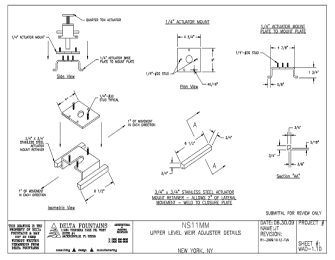 The following is a brief description of what steps were taken to solve the most daunting issues involved in the September 11 Memorial water features. A weir is defined as a dam in a stream or river to raise the water level, or divert its flow. 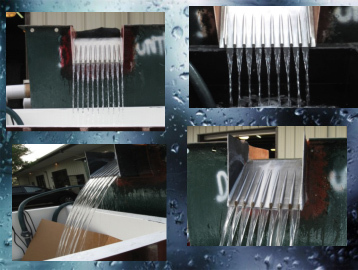 Using current technology, it is easy to convey large volumes of water to higher levels and simply let them fall over a concrete or steel weir edge, back to the lower level. Relative to man-made waterfalls, the shape, texture, level and angle of the weir is critical to achieving a visual effect. 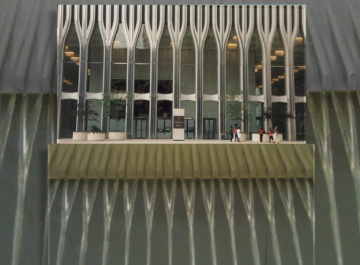 All of these factors and more were challenges facing the engineering of the 9/11 Memorial fountains’ waterfall weirs, which occur on the upper levels of the fountains, past the bronze parapets. 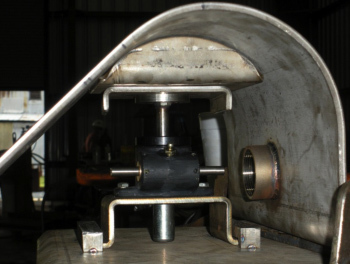 The first demand of engineering any weir is to make sure it is level. As a weir becomes longer, this is increasingly difficult. In the Memorial fountains the weirs in each display are just short of 700 feet. Originally, it was thought that there would be one inch of water over the weirs. After scaled mock ups were observed and assessed, this dimension came down to ½ of an inch. It had already been decided that the weirs would need to be able to move up and down for level adjustment, but the question became, “What type of device could get them level enough to have a consistent flow over 700 feet, to within ½ of an inch?” If this could not have been achieved, there would have been dry areas on some of the weirs and excessive flow on others. First mock ups of weir functionality. 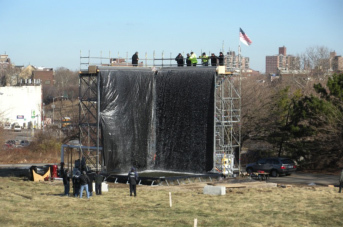 Elevation view of waterfall mock up for September 11 Memorial. 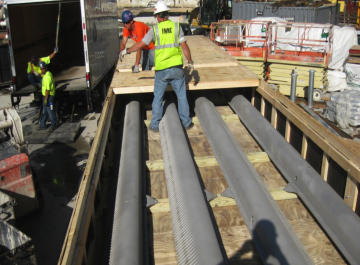 To accomplish the goal, the weirs were installed on top of the concrete walls with stainless steel sill plates. These plates had rails welded to them that accepted brackets, upon which small one ton industrial jacks were mounted. The rails allowed for lateral movement, compensating for the expansion and contraction calculated for the stainless steel weirs. The jacks were installed every 5 feet on center, under the weirs. After sandwiching a malleable synthetic liner between two flanges behind the weir, the upper pool remained waterproof and the weir could move vertically up to two inches, by manipulating the jacks. In the end, the entire 700 feet of weir was adjusted to within 1/16th of an inch. Details of brackets and jack rails. Sample mock up section with jack system. The next standard weir challenge is to either direct the flow over a wall, or have it flow past a wall. These waterfalls were designed to flow past the wall, so a radius was determined to bend the weirs and achieve the effect over a 29 foot fall. Normally, this is not a huge issue, but with each side of each fountain weir measuring just over 173 feet, other problems became apparent. The bent stainless steel was only ¼” thick and over such a long distance, the weirs could easily become buckled during installation and would never regain their original, critical shapes. In addition, the 173 foot sides were made in 38 to 41 foot pieces and there were several field welds that would need to be made. 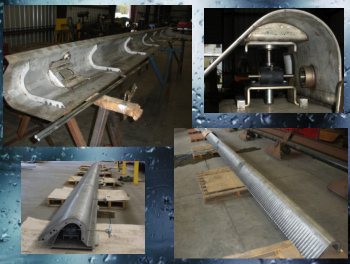 Due to the radius, it was proved that the field welds would misshape the weirs and they would become inconsistent. 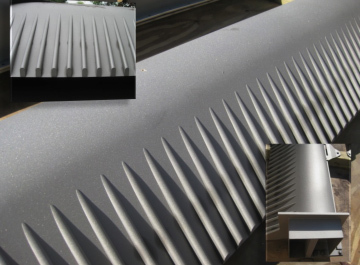 Much like an airplane wing, stainless steel ribs were designed on approximately 30” centers, to keep the weirs from buckling. 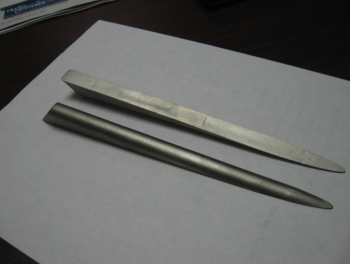 Where field welds would occur, there was a rib welded on each mating end that kept the field welds from distorting the radius. This was practiced several times on samples at our factory. Large weir sections with engineered ribs. After getting the water to flow past the wall and land several feet from it, the next step was to keep it from breaking up over the 29 foot drop. If the water flowed over the entire surface with no obstructions, it would probably have taken 4 inches of water over the top to achieve this. Instead of this method, the water was diverted into rivulets, via the “Weir Fingers” that were placed every 1.5 inches on the faces of the weirs. Initial, individually milled weir fingers. Aluminum oxide blast on weir faces. The fingers were originally milled one at a time, until the design and effects were approved. 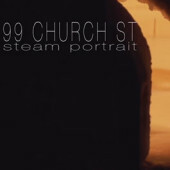 The approved fingers were then taken to a foundry, where molds were made from them, in order to be able to cast the product en masse and meet the deadline. This was the only way to achieve the goal, as there are over 11,000 fingers on the weir faces and they are hand applied, with two fasteners, each. By forcing these streams, the water became more laminar and held together much longer than a solid single sheet could. When the incredibly large fountains were started up, it was noticed that the wind played off these streams and created stunning imagery across each waterfall face. This was unintended, but wonderful. Another effect that couldn’t have been anticipated was that the water coming off the weirs between any two fingers narrows quickly and has an eerie resemblance to the trident steel that clad the former towers. Similarities to water display and former towers facades. The September 11 Memorial is one of the most recognized water features in the world. We were honored to be able to contribute to the memory of those touched by this tragedy. Today, the September 11 Memorial site is also home to the 9/11 Memorial Museum, the Survivor Tree and a viewing station at the top of Tower One. We encourage everyone to visit the site in order to realize the magnitude of the entire project. 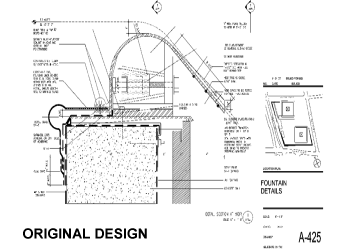 In the meantime, you can learn more about the fountain engineering and design process by attending one of our accredited presentations (through AIA and ASLA), as well as view our tribute video below.